This is the definitive guide to all Oracle utilities, and it is targeted at experienced Oracle professionals who need to perform powerful system-wide operating system internal operations on their Oracle databases. The authors approach Oracle Utilities from a functional perspective, adding value by explaining the "why" and "how" for the use of all Oracle Utilities. 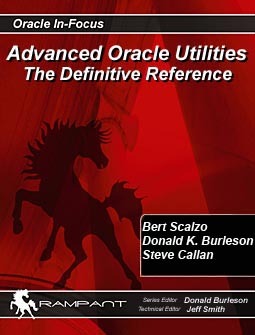 This comprehensive book includes details on all of the Oracle utilities, including experts-only sections on undocumented utilities, plus the Linux/UNIX utilities, Oracle command-line utilities, and the all-important DBA package utilities. This indispensable book covers all areas of Oracle database administration and includes secrets for database migration (with Data Pump and SQL*Loader) and detailed tips for using The Oracle OS utilities (e.g. BBED, dbv, orastack, orakill). The book also covers Oracle tuning utilities, including ADDM and the SQL tuning advisors as well as the traditional command-line tuning utilities such as dbms_alert and dbms_xplan, tkprof and dbms_debug. This book is special because noted Oracle experts supplement the operational considerations of Oracle utilities with expert insights and working scripts. The time savings from a single utility script is easily worth the price of this definitive book. This book is not for beginners. These are powerful utilities to be used only by experienced DBAs and developers who need to perform powerful system-wide operating system internal operations on their Oracle databases. • Understand how to automate database management with Oracle utilities. • Learn about Oracle's secret hidden utilities. • See how to use the Oracle DBMS package utilities. • Get working examples of all Oracle utilities on the code depot download. • Discover the secrets used by professional DBAs to perform advanced diagnostics. Bert Scalzo is a Database Expert for Quest Software and a member of the TOAD dev team. He has worked with Oracle databases for well over two decades. Mr. Scalzo’s work history includes time at both Oracle Education and Oracle Consulting. He holds several Oracle Masters certifications and an extensive academic background - including a BS and MS in Computer Science, an MBA, plus insurance industry designations. Mr. Scalzo is also an Oracle ACE. Mr. Scalzo is accomplished speaker and has presented at numerous Oracle conferences and user groups - including OOW, ODTUG, IOUG, OAUG, RMOUG and many others. His key areas of DBA interest are Data Modeling, Database Benchmarking, Database Tuning & Optimization, "Star Schema" Data Warehouses, Linux and VMware. Mr. Scalzo has written numerous articles, papers and blogs - including for the Oracle Technology Network (OTN), Oracle Magazine, Oracle Informant, PC Week (eWeek), Dell Power Solutions Magazine, The LINUX Journal, LINUX.com, Oracle FAQ, Ask Toad and Toad World. Mr. Scalzo has also written six books: Oracle DBA Guide to Data Warehousing and Star Schemas, TOAD Handbook, TOAD Pocket Reference (2nd Ed),Database Benchmarking: Practical Methods for Oracle & SQL Server, Advanced Oracle Utilities: The Definitive Reference and Oracle on VMware: Expert Tips for Database Virtualization. Steve Callan Steve Callan is an Oracle certified professional with over 20 years of progressive hands-on technical experience and nearly a decade managing mission-critical Oracle databases. 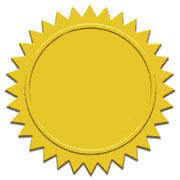 He is also a Microsoft Certified Professional (MCP), and is proficient in SQL Server 2005. Steve has a Masters degree in Software and Information Systems from Regis University, and a Masters degree in Industrial Engineering from New Mexico State University. He has also completed all Ph.D. coursework for his pending doctorate in Mathematical & Computer Sciences at the Colorado School of Mines. A former senior U.S. Military officer, Steve is a graduate of the prestigious United States Military Academy at West Point, earning his wings as an attack helicopter pilot. He has over 1,000 hours of operational aviation unit experience with Apache and Cobra attack choppers and won an Army senior aviator award for his piloting skills. Steve lives in the Denver area and spends his spare time trying new wines, playing with computers, and writing a science fiction novel. What is a Hidden Utility?